Home Exam Management How To Prepare For IIT JEE Mains? 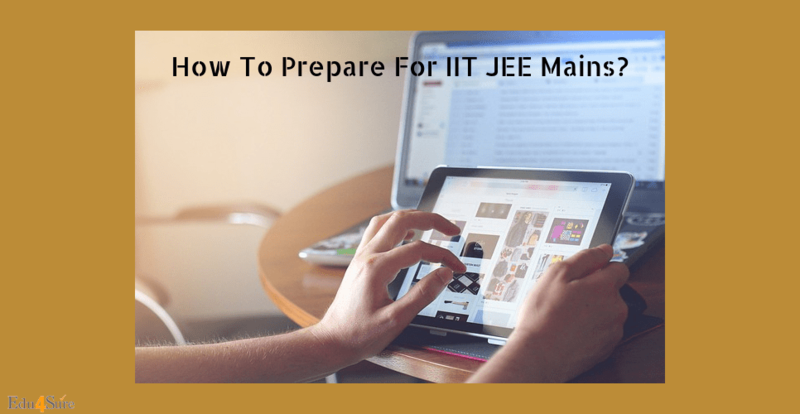 How To Prepare For IIT JEE Mains? Almost every student which take non-medical stream after 10th class and want to become an engineer will be dreaming of going to top IITs, NITs, GIFTs, IIITs and top private engineering colleges like Birla Institute of Technology (Mesra), PSG college of technology(Coimbatore) etc. To reach these top colleges around 11.5 lakh students gave exam in 2018 of JEE MAINS. It is the first part of Joint Entrance Examination which will help you to land in NITs, GIFTs IIITs, and top private engineering colleges. It will be conducted by the National testing agency from 2019. JEE Mains comprises of two papers i.e Paper1 (for B.E/B.TECH) And Paper2 (for B.Arch/B.Planning). From 2019 JEE-MAINS exam will be conducted twice a year once in January and second in April of every year and it will be considered as one attempt. This will allow an examinee to choose either of the months to attempt the exam or to repeat the test if the first score doesn’t prove satisfactory. ❖ Manage the time-The first thing that you should do is time management so that you do not have to worry at the end time. You should manage your time in the way that you are giving proper time to each subject and also preparing for 12th board exams. You can make a study plan for the day so that you have time for other entertainment also as it will help to refresh your mind rather than studying for the whole day. ❖ STOP! Procrastination- Each day is important when it comes to crack engineering entrance exams. So you should not let procrastination to become an obstacle between you and your aim. You should stop putting your work on tomorrow and do it at the right time. ❖ Cover the Syllabus- As we all know that JEE MAINS include 11th and 12th combined syllabus so while preparing for your 12th board exams you should not forget your 11th syllabus and keep revising and practicing it also. At least once, you should go thoroughly the 11th and 12th syllabus. ❖ Make notes- You can make notes at the end of each chapter of basic and important things which will help you to revise and remember quickly by just reviewing it anytime you need and you will not waste your time reading the whole chapter again and again. ❖ Expert help- You can join the online and offline coaching institutions which have a good asset of teachers and take guidance from them. As they can help you to prepare, practice more for the JEE MAINS exam and also you can go to them whenever you have any problem while preparing. ❖ Sample Papers- “PRACTICE MAKES A MAN PERFECT”. You can practice the previous year question papers, sample papers which will give you an idea about the exam, the current status of your preparation and how much more preparation you need for your exam. More papers you solve the more you will get an idea about the exam pattern, difficulty level and your preparation level which will automatically boost a confidence in you. ❖ Speed and Accuracy- As we all know that there is negative marking in the exam so accuracy for attempting questions is must and we should practice at home by solving the question in limited time and see how much we did in the allotted with accuracy. By measuring our performance day by day we can see that how much we are improving. We can use reference books which contain shortcuts and tricks which will help to increase our speed. As I said above PRACTICE, PRACTICE, PRACTICE this is the only thing that will help you to maintain your speed and accuracy. 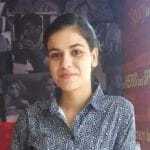 Next articleWhy Join Online Mock Test Series For IIT JEE?